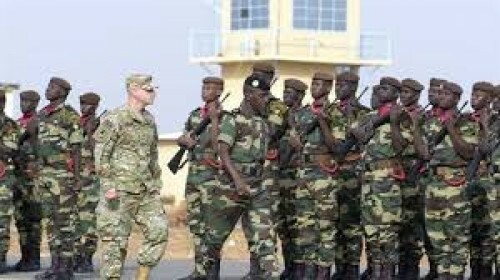 Washington, April 8 (IANS) The US has pulled a contingent of its troops from Libya amid rising violence in the capital city of Tripoli, America's top commander for Africa said. The UN-backed government in Libya said 21 people have been killed and 27 wounded in fighting near the capital. International powers have begun evacuating personnel from Libya amid the worsening security situation. "The security realities on the ground in Libya are growing increasingly complex and unpredictable," said Marine Corps Gen. Thomas Waldhauser, head of US Africa Command, in a statement on Sunday cited by CNN. "A contingent of US forces supporting Africom temporarily relocated from Libya in response to security conditions. We will continue to monitor conditions on the ground and assess the feasibility for renewed US military presence, as appropriate," the combatant command tweeted. Italian multinational oil and gas company, Eni, has decided to evacuate all its Italian personnel from the country. The UN is also due to pull out non-essential staff, reports said. US Secretary of State Mike Pompeo expressed concern over the situation in Libya and condemned Gen. Haftar's offensive. "This unilateral military campaign against Tripoli is endangering civilians and undermining prospects for a better future for all Libyans," he said in a statement. Libyan Prime Minister Fayez al-Serraj accused Gen. Haftar of attempting a coup and said rebels will be met with force.